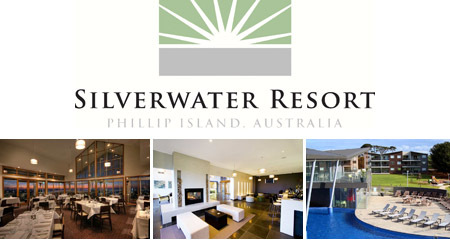 Silverwater Resort is your gateway to Phillip Island in Victoria.Set high on the hills above San Remo, the luxury resort is unlike any other Phillip Island accommodation.Find time to soak up the Bass Coast’s natural beauty. Find time to stretch out in your Silverwater apartment, the finest San Remo accommodation on offer. The Island Accommodation your gateway to Phillip Island. This award winning purpose built eco-friendly accommodation complex, is specially designed for you with state of the art facilities, comfortable living areas and friendly services. Phillip Island Caravan Park Accommodation is nestled amongst the sand dunes of the Newhaven Beach in a natural landscape setting of trees and gardens, and is conveniently located within 500m of restaurants, cafes and shops.Phillip Island Caravan Park offers a perfect place to sit and relax, or to use as a base to explore the rest of the Island ‘s attractions. Set amongst 5 acres of bush, offering a great range of holiday cabin accommodation Anchor Belle is one of Phillip Island’s Premiere Tourist Caravan Parks in Cowes. Anchor Belle is 100 metres to the beach and just 2Km from Cowes main shops and restaurants. Featuring Indoor heated pool, great family location and close to all major tourist attractions. Just minutes walk to the main street and beach, Amaroo Park is perfectly located for your holiday enjoyment. With a wide variety of accommodation to suit all budgets, plus a range of facilities available to guests including a heated out door swimming pool. Amaroo Park will be a very enjoyable stay. 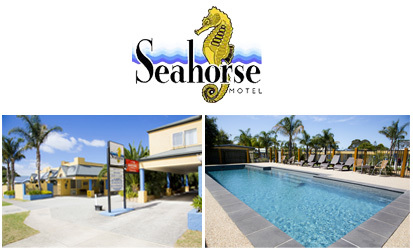 Situated in Cowes off the main road, The Seahorse Motel is just 400 metres to the main shopping strip and 150 metres to the beachfront. Your hosts, Catherine and Lino provide a comfortable clean and affordable accommodation with great facilities such as a In ground Pool. Choose from motel units, one bedroom self contained units or two bedroom self contained units. Located in Cowes, Phillip Island Apartments is a short stroll to local shops, restaurants and recreational beaches as well as within easy travelling distance to Phillip Island’s many attractions.Phillip Island Apartments offer 32 one, two and three bedroom fully serviced apartments all including fully equipped kitchen and laundry facilities, separate lounge and dining areas allowing guests to relax in comfort and privacy. Ramada Resort Phillip Island offers a relaxed and comfortable holiday experience in a stunning natural location. The resort is situated an easy two-hour drive from Melbourne and conveniently located in the centre of Phillip Island. Set across 65 acres of beautiful countryside, accommodation at Ramada Phillip Island is surrounded by native gardens and natural bushland, creating the ideal atmosphere to kick back, relax and unwind. The Tropicana Motor Inn is the perfect place for your next Phillip Island escape. We are only a short walk away from Cowes Beach and the Esplanade, where you will find the island’s best restaurants, cafés and surf shops. We provide a number of accommodation options, including intimate queen rooms, deluxe spa rooms and larger family suites. 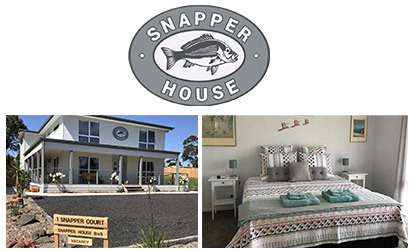 Located on Phillip Island, in the village of Rhyll, Snapper House provides accommodation with free WiFi, air conditioning and access to a garden. Fitted with a terrace, the units feature a flat-screen TV and a private bathroom with shower. A fridge and kettle are also provided.